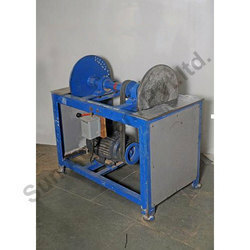 Our organization is dedicatedly engaged in trading and supplying a wide range of Switch Board Cutting Machines. 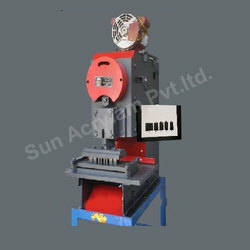 These machines are extensively used by the switch boards manufacturing firms due to their excellent performance and user-friendliness. To meet the variegated needs of clients, we offer these machines in different sizes, designs and specifications. Weight 85kg. + 10 kg motor. We are trader of Switch Board Cutting Machine. Which is mainly used in to make whole and gap for switch fitting in switch board sheets the entire range has achieved huge repute in the market for their unmatched quality. This mentioned price is our starting range. We have various models of Switch board cutting machine. It means machine requires 575 x 300 mm ground level surface. Machine requires 0.25 hp motor of single phase or 3 phase. Machine can make 12 switch cutting with screw fitting hole in one minute. According to that machine can make 720 switch cutting with screw hole in an hour. Machine is absolutely silently working. Lots of person is using this in their house. Machine operation is so easy. No need of any kind of technical or non technical knowledge to use this machine. Even illiterate people can very easily operate this press cutting machine. 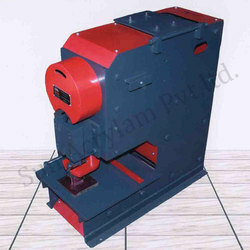 We are instrumental in procuring and offering a range of Moulding Machines. These machines are sourced from trusted vendors, who use superior quality raw material with latest machines to manufacture their products. Before the final dispatch, these machines are stringently examined by our quality examiners to ensure their defect-free nature. Leveraging on our widely expanded distribution network, we source and offer a range of Sanding Machines. Sourced from certified vendors of the market, these machines are widely used for sanding & polishing plywood & boards. All these machines are rigorously examined by a quality testing team so as to ensure their defect-free nature, before the final dispatch. We are manufacturer of various kind of Switch Board Cutting Machine. . It makes switch cutting with it Screw fitting whole. 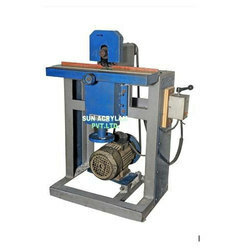 We also have machines for wooden board switch cutting. Which is mainly used in to make whole and gap for switch fitting in switch board sheets the entire range has achieved huge repute in the market for their unmatched quality. We can also provide customized machine. It means machine requires 500 x 300 mm ground level surface. Machine weight is 85 kg. + 10kg motor. So, according to that everyday more than 6000 switch cutting in just 8 hours. Machine is absolutely silently working. Lots of people is using this in their house.